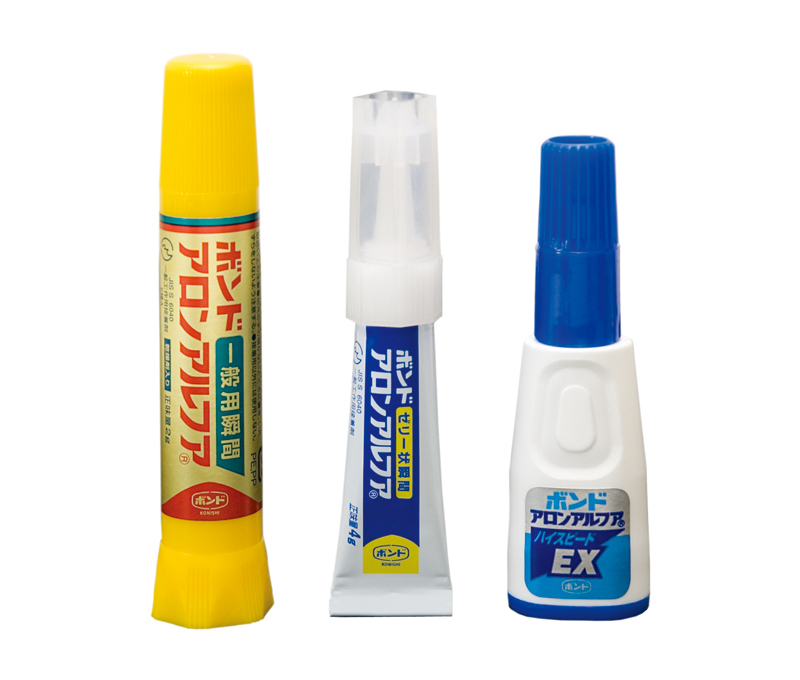 Instant adhesives (superglue) are made from cyanoacrylate as their primary ingredient and rely on chemical reactions. They bond by reacting to tiny amounts of moisture on the bonding surface, or in the air, and curing. While they are capable of inducing strong adhesion relatively quickly, they are vulnerable to impact and are not suitable for semi-permanent use. Besides general purpose products which take the form of a watery liquid, there are also gel-types which are less prone to running on a vertical surface. Uses depend on the state of the liquid and the curing speed. When purchasing, be sure to check the packaging for details on what and how they can be used. Sometimes, parts around the bonded surface may become flaky and white. This can be scraped off but it is best to consider how the part is to be finished when applying the glue. When making models from materials with an uneven surface such as urethane foam, rinsing the dust off the surface to leave behind a moderate amount of moisture and using gel-type glue will make the bonding work easier. Because the bonded surface becomes hard, methods for applying the finish need to be considered. If you glue your fingers together accidentally, you can either soak them in warm water and slowly rub them apart or use a special remover which is sold separately. Adhesives should be handled with care because they could generate heat if they get on your clothes. Avoid using instant adhesives on parts that might come into contact with the mouth. Read the precautions on the package carefully before use. 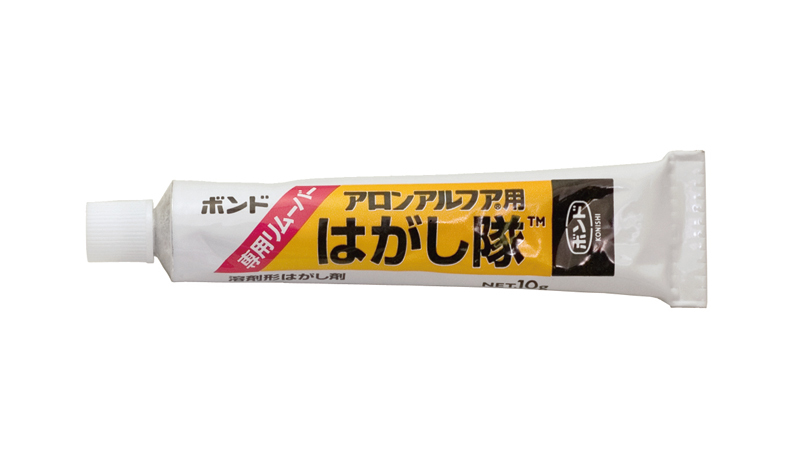 After use, tighten the cap securely so that the adhesive is not exposed to moisture during storage. Some adhesives are sold with a storage container but if not, they can be placed inside in a sealed container with a desiccant for storage. The nozzle on the tip only has a small opening and can easily become clogged up when the adhesive cures. Separately sold replacement nozzles are available. Instant adhesives and nozzles can be purchased at home centers and art supply stores.